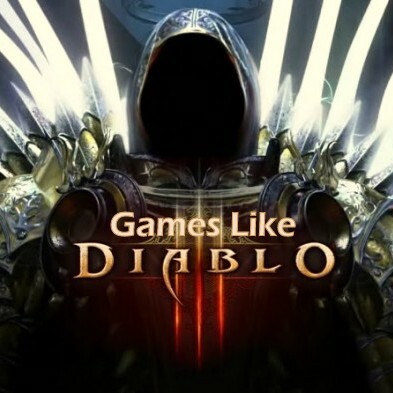 Action RPG Games Like Diablo 3 '+g+"
Diablo III is an action role-playing video game developed and published by Blizzard Entertainment. It is the third installment in the Diablo franchise and the game takes place in Sanctuary, the dark fantasy world of the Diablo. In the game, players choose one of five character classes the Witch Doctor, Barbarian, Wizard, Monk or Demon Hunter and are tasked with defeating the titular Diablo. Like playing more games like Diablo 3 then check this list of recommendations for action role-playing video games similar to Diablo 3 which offers similar game play. Torchlight II is an action role-playing game developed by Runic Games. Torchlight II features randomly generated dungeons for the player to explore, and numerous types of monsters to fight for experience and loot. Titan Quest is an action RPG developed by Iron Lore Entertainment. Players take on the role of a hero, fighting monsters in three ancient, classical world settings including Ancient Greece, Ancient Egypt and the Silk Road/Asia. Path of Exile is an online Action RPG set in a dark fantasy world. The player controls a single character from an overhead perspective and explores large outdoor areas and underground caves or dungeons, battling monsters and fulfilling quests from NPCs to gain experience points and equipment. Dungeon Siege III is an action role-playing game developed by Obsidian Entertainment and published by Square Enix. The player can choose from one of four characters who have different back-stories and who seek to reestablish the 10th Legion and fight Jeyne Kassynder for control of Ehb. As the game progresses and different quests are completed, the other three characters will first meet and then join the player character. Bastion is an action role-playing video game produced by independent developer Supergiant Games and published by Warner Bros. Bastion's story follows the Kid as he collects special shards of rock to power a structure, the Bastion, in the wake of an apocalyptic Calamity. Realms of Ancient War (R.A.W. ),.....if you can think of more, then don't forget to mention it in comments.